Spaceway is a project out of time. Instead of moving it ahead, i end up dragging it across time, trying to catch up. I.e. i thought i had Oculus Rift support, but the SDK moved ahead over the years to the point of being completely incompatible. The graphics, made to 2008 standards, are becoming very dated. Even fixed pipeline OpenGL is disappearing, giving way to shaders and new APIs. Like falling into a software black hole, complete with time dilation. You cover X amount of time, only for 2*X to appear ahead of you. At some point you find that you are below the event horizon, and the time is up. Even worse, you were there for years already. My earliest inspiration was Noctis. It was a little game that lets you browse the galaxy, see the planets, land on them. To scratch that explorer itch, in a cozy virtual spaceship. That was before i could program, so the thought of making my own haven't occured to me back then. 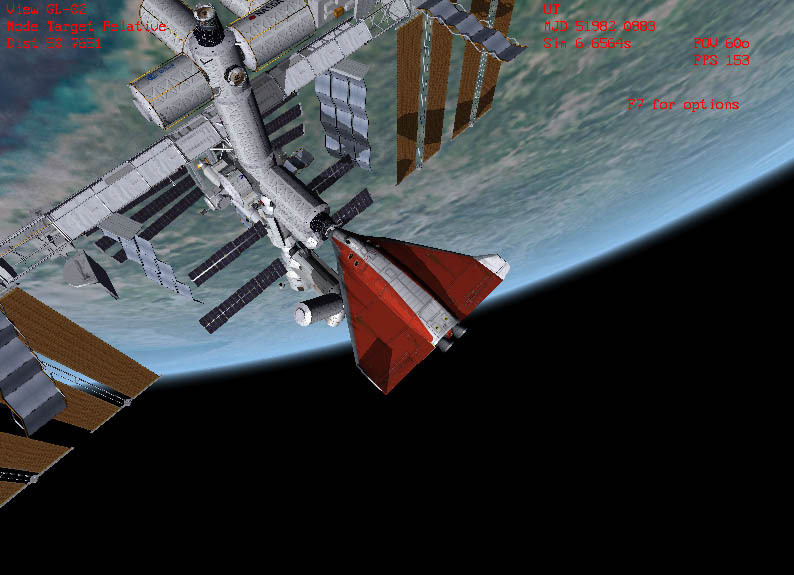 Some years later came Orbiter, the space flight simulator with real physics. From it i learned what spaceflight was really like. For it i made many add-ons. But Orbiter was insufficient. Every planet in it was flat, every star was painted on a skybox. Somewhere around that time i already knew coding, and i started making various simple simulators. A gravity sim that could propagate particles in orbit of planets, a procedurally generated night sky, a simple accretion model that predicts planets in a solar system. Simple, diagramatic drawings of planets as circles and a trail path of a spaceship, in pseudo-2D, was perhaps the earliest version of what one day became Spaceway. The site's background is a screenshot from the night sky generator. 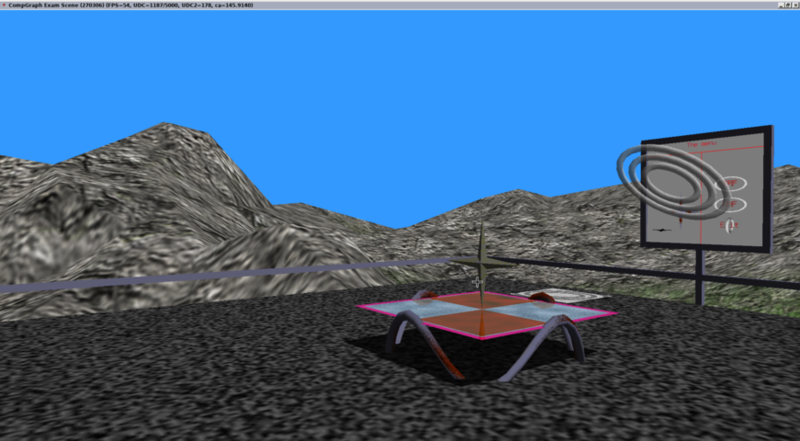 I tried my hand at 3D back then, to various rather lame effects, creating the earliest 3D version of Spaceway. A year later, for a final assignment at the university's computer graphics course i made a 3D planet renderer, with terrain. That became a terrain engine for Orbiter, and then the one of Spaceway. 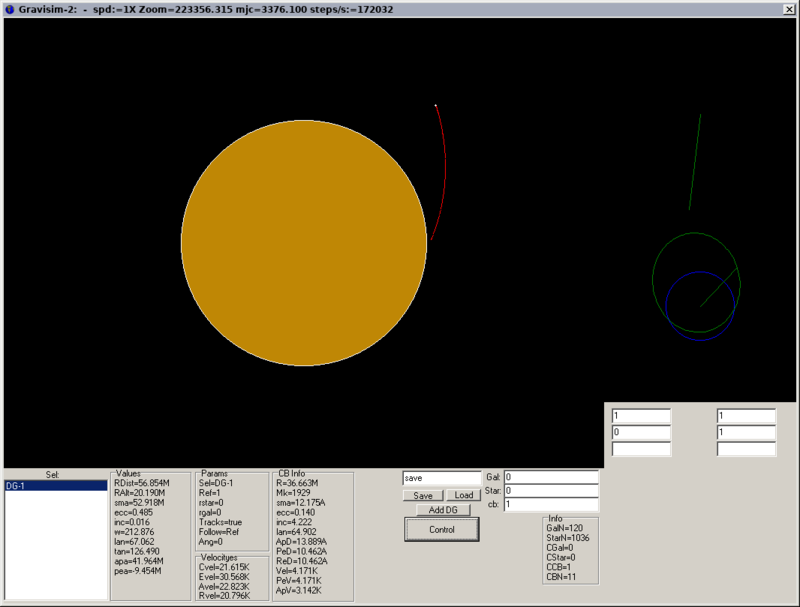 Around the same time, Orbiter made an interface for third-party graphics engines, and i got busy making one. 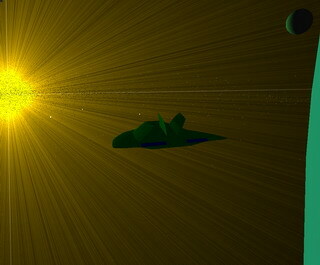 The OGLA engine, then, became the basis of post-2007 Spaceway. Around that time i spoke to the author of Space Engine, back when he just had an idea for it. He was better at shaders than me, i was better at to-scale planet rendering than him, we exchanged some code and ideas, then parted ways. In all honesty, Space Engine is what Spaceway should have became, but i completely ignored the point-and-click mode of browsing the planets and concentrated on the real phisycs. That was the point, eight years ago, when it all went wrong. But like in some graphic adventure game of the 90s, it wasn't until much later that you realise that you have already been screwed for a long time. The rest of the story is in this blog/newsreel hybrid. I made my universe, it still fits on a floppy. I had fun exploring it and scratching that exploration itch. I felt, perhaps, the same way the author of Noctis felt when he made his night sky for himself to wander around. In the end, that's what it was all about. I learned a lot about a variety of things. I wrote papers on some pieces of the project and got my PhD thanks to it. I wandered across infinity brought to existence by pure math, and came back from the trip quite a bit wiser than i was when i left. This is what Spaceway was for me. A piece of my soul expressed in code and mathematics. And looking back, i'm only a little sad that it was a failure as far as "being a popular game" metric is used. At least the lack of popularity allowed it to stay true to what i dreamed of. Anyway, i'm still making various stuff, and if you liked Spaceway you might find something else i made interesting. The https://orbides.org is where all the links and posts are. This is Artem, also known as Artlav, signing off.